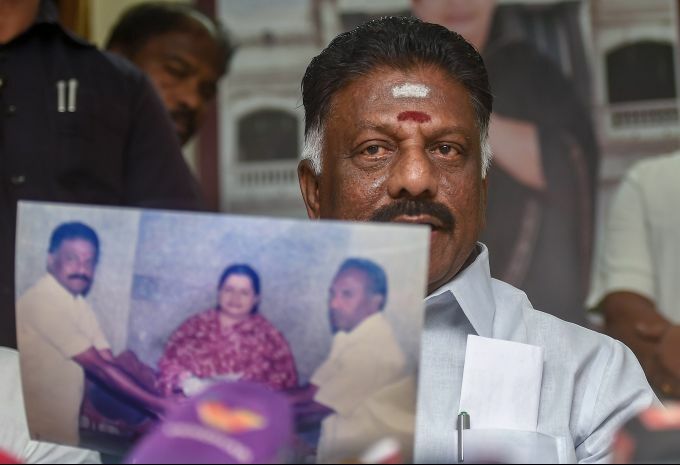 Chennai: Tamil Nadu Deputy Chief Minister O Panneerselvam shows a photograph which was first meet with AIADMK late Supremo J Jayalalithaa as he addressing media at his Official Residence in Chennai, Friday, Oct. 5, 2018. 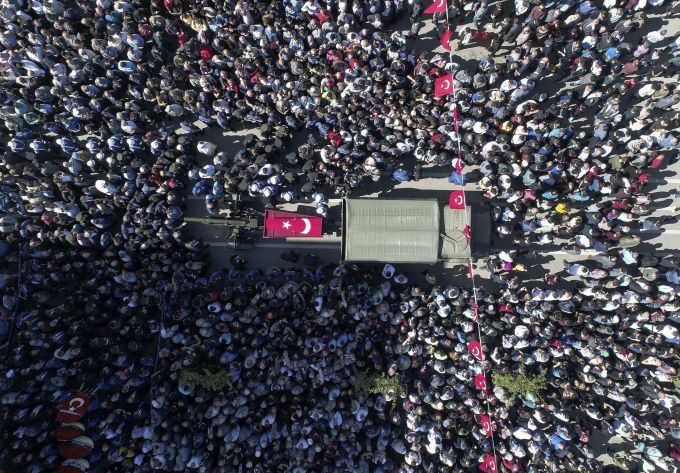 Isparta: The Turkish flag-warped coffin of Gendarmerie Expert Sergeant Ali Hekim, killed Thursday in a roadside bomb attack in the majority-Kurdish province of Batman, southeastern Turkey, is carried during his funeral procession at his hometown in Isparta, Turkey, Friday, Oct. 5, 2018. Kurdish rebels detonated an explosive device Thursday, killing seven soldiers. The Kurdistan Workers' Party, or PKK, has waged a more than three-decade old insurgency in Turkey's mostly Kurdish southeast region. 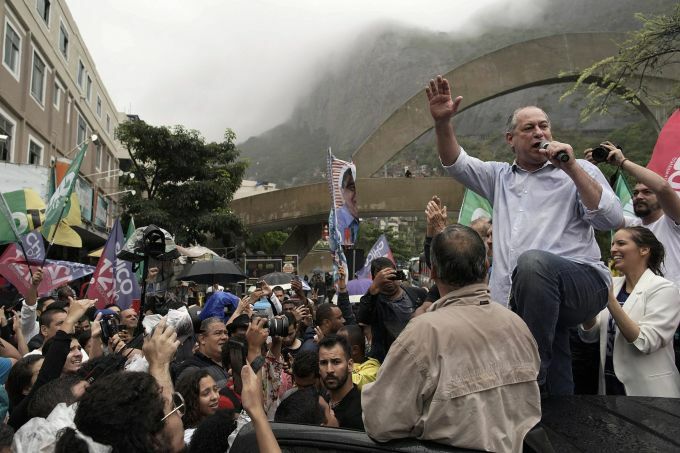 Rio de Janeiro: Ciro Gomes, presidential candidate with the Democratic Labor Party, speaks to supporters at the Rocinha slum in Rio de Janeiro, Brazil, Friday, Oct. 5, 2018. In a debate with presidential candidates, the night before, Gomes said that electing the far-right hopeful would be like dancing near an abyss. 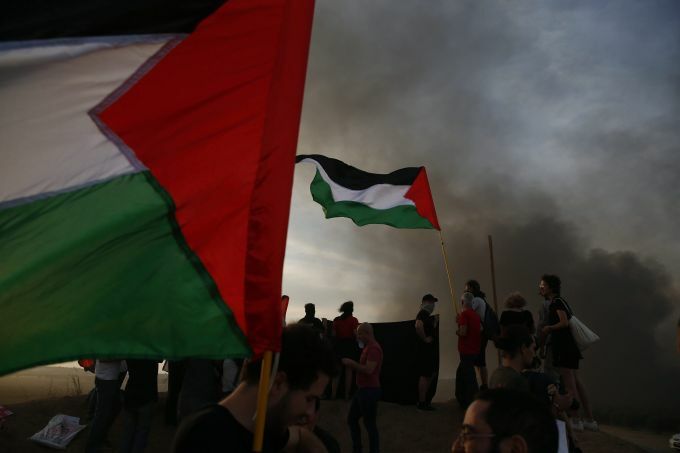 Israel Gaza border: Israeli peace activists hold Palestinian flags during a protest on Israel Gaza border, Friday, Oct. 5, 2018. 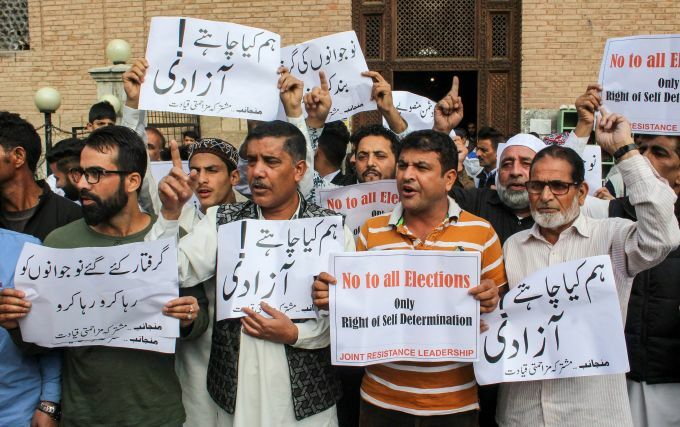 Srinagar: Joint Hurriyat leaders and supporters hold placards as they raise slogans calling for the boycott of upcoming Municipal elections, in Srinagar, Friday, Oct 5, 2018. Two National Conference workers were shot dead by militants three days ahead of polling for the first phase of elections for urban local bodies in Kashmir. 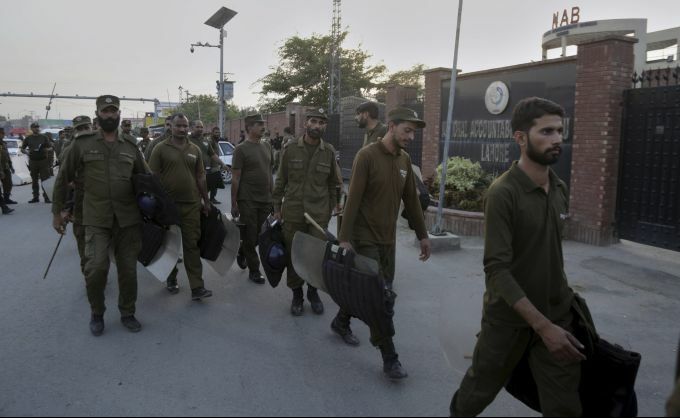 Lahore: Pakistani police officers arrive to take positions for security at the office of National Accountability Bureau following the opposition leader arrest, in Lahore, Pakistan, Friday, Oct. 5, 2018. Pakistan's anti-graft body announced that it had arrested the country's opposition leader, Shahbaz Sharif, over his alleged links to a multi-million dollar housing scam.